Loosely based on Chaucerâs Canterbury Tales, the novel takes on life itself as a pilgrimage. One of lifeâs biggest struggles is fitting in with the rest of the human race, and an aspect of that is having children. Itâs not meant for everyone and yet, true to Darwinian forces, itâs almost expected. Giving birth and then raising a child to maturity is one of the bravest tasks we take on. On what was supposed to be a day to celebrate, another cruel outburst from Holly Thomasâ sister-in-law begins a spiral of events that would leave Holly questioning every choice sheâd ever made and every belief she held as truth. With the Fertility Tour only weeks away, a group of unlikely and disparate pilgrims look to her for guidance. But Hollyâs life has unraveled in ways she could not have imagined, including a restraining order against her. Will she be able to find her footing and make peace with her choices and herself? Will visiting the religious and sacred feminine sites in England help her regain control or only tear her further apart? Deeply traumatized after her daughter, Arella, is born dead, fertility counselor Holly Thomas struggles to achieve inner peace. RogerâHolly's supportive husband and a prominent fertility doctorâaccepts her grief-induced eccentricities, but his intolerant Christian family resents her and her Jewish roots. When Edward, Roger's brother, openly belittles the Bar Mitzvah of Daniel, Holly's son, tensions escalate, and her whole world threatens to fall apart. To overcome heartbreak and reflect on self-discovery and relationships, Holly and Roger take a group of patients from their clinic on a fertility tour. This tour becomes a spiritual pilgrimage for unrealized truths. In a town famous for its ghosts, it was easy to imagine there was one lurking behind every tree. And while Holly knew most visitors to Sleepy Hollow expected movie-inspired visions of the headless horseman, in truth the densely wooded surroundings allowed a more peaceful somnolence. In spite of its thirty-mile proximity to the most populated city in the country, what with New Yorkâs electric hubbub of restless, cosmopolitan energy, there was never a feeling of urgency in the little hamlet, merely a sleepy torpor, a sensing that the world stopped in this hollow of quiet dead. Even by the light of early evening in Sleepy Hollow Cemetery, where saturated gray skies released rain to drip from the trees, dotted here and there with planted shrubs and summer flowers in fresh bloom, there was a lovely serenity, enhanced further by the rainâs sudden cease. Here, there was nothing to fear. Holly entered the cemetery through scrolled iron gates wedged between gray quarried stone, which made up the wall bordering the grounds. She jogged up Forest Avenue, turned left on Transit, making her way up Hill Side, and then down onto Cascade, where she left the well-marked gravel path. From there she strode through wet grass crowded with lichened grave stones, some weatherworn and leaning askew, others newly polished with crisp lettering, until she reached the pale little stone marking the grave. At the babyâs feet, a short drop off past the main road, the Pocantico River burbled as it shot over rocky masses. Hollyâs one request of Roger and the cemeteryâs caretaker was that the site be near water, the giver of life, bringer of tranquility. Knowing how nearly Holly brinked insanity in those days, Roger swiftly supported her wishes; they were lucky to find a small plot in a relatively unpopulated section. Marit always managed to rattle her, either poking fun at Hollyâs whims, or sometimes with outright malice, which Holly knew all too well stemmed from their differences in religious outlook. The fact that Arellaâs birthday fell on St. Johnâs Eve didnât help. For someone as devotedly Catholic as her sister-in-law, celebrating a babyâs life who had never been born, was sacrilege. The saintâs day was meant to celebrate a birth, Marit insisted, and certainly had nothing to do with a baby born dead. But it wasnât a topic Holly was willing to think about today, not on Arellaâs birthday. Instead, she catalogued her daughterâs gifts: an enormous stuffed pony for her bed, and a cellphone. She chuckled at that one, recalling Rogerâs perplexity. âWhy do you have to get the baby a phone?â heâd asked her the week before when she walked into the house, arms loaded with shopping bags. Holly had exclaimed that Arella wasnât a baby anymore, she was turning eleven, and every preteen needed a cellphone. Roger chewed his upper lip for a while, before asking, âIs this along the lines of âET phone home?ââ He had laughed, and so had she. Gifts for Arella were an annual practice in their household, and long gone were the days where Roger made much of a fuss over it. Keeping Holly happy was his primary goal in life, even if that meant some particularly nutsy charges on their credit card every June. His wifeâs frenzied activities subsided within a week or so after the birthday celebration, allowing her to settle back into reality, recharged and reaffirmed with the notion that she was doing the right thing by Arella. She felt warm pressure on her right shoulder, and opening her eyes saw that Millieâs husband, Josiah, knelt at her side on one corduroyed knee, his gnarled hand grasping her shoulder lightly, holding her steadfast. Holly looked up into the old manâs deep blue eyes, shot through with red veins, but firm and gentle in their gaze, and nodded. He stood up slowly and she extended a hand for him to pull, which he did. âAlmost everybodyâs there at the cottage,â he said. âExcept Edward, but you knew that.â They were both aware that there was no need to explain further; of all the friends and relatives, Rogerâs brother had never attended these parties, whether he was in town or off somewhere in the world. For some reason, Josiah enjoyed pointing out this fact to her, a reminder perhaps of which of the two older men in her life she could count on more. She looked down at the grave. âI have to leave now, Arella. Your party is starting.â She swept her index finger over the top of the stone, letting it linger on the upward swooping scallop, and then turned to walk with Josiah back up the hill. As the award-winning author for her novels, Drinking the Knock Water: A New Age Pilgrimage and In Search of Sushi Tora, and on her lifestyle blog, âFeeding the Famishedâ, Emily Kemme tends to look at the world in all its rawness. She writes about human nature, and on her blog shares recipes and food for thought along with insights about daily life. She is a recipe creator but winces when labeled a foodie. She is the Food and Lifestyle Contributor for the Greeley Tribuneâs Dining column and also writes features for the newspaper and its magazine, #Greality. As an author who lives in Greeley, Colorado, she celebrates peopleâs differences, noting that the biggest problem with being different is when itâs deemed a problem. Emily often identifies with the underdog, focusing on humanizing the outsider, showing there is not only one right way to be or to live. 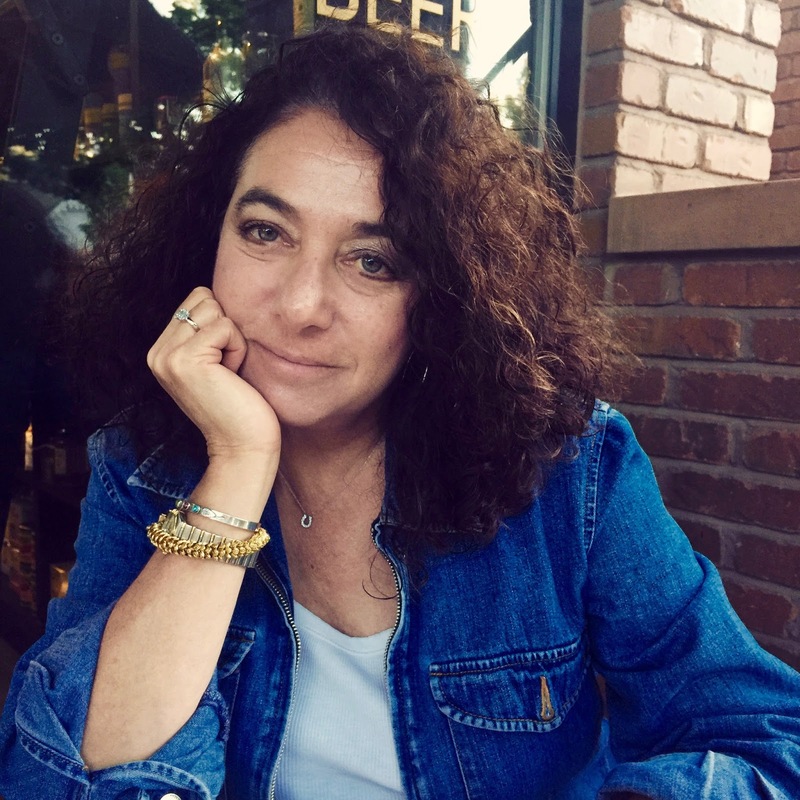 Through her writing she hopes her audience will be open to new ideas, the acceptance of others, and will recognize the universalities of human experience in a non-judgmental way as they meet her characters and follow their stories. 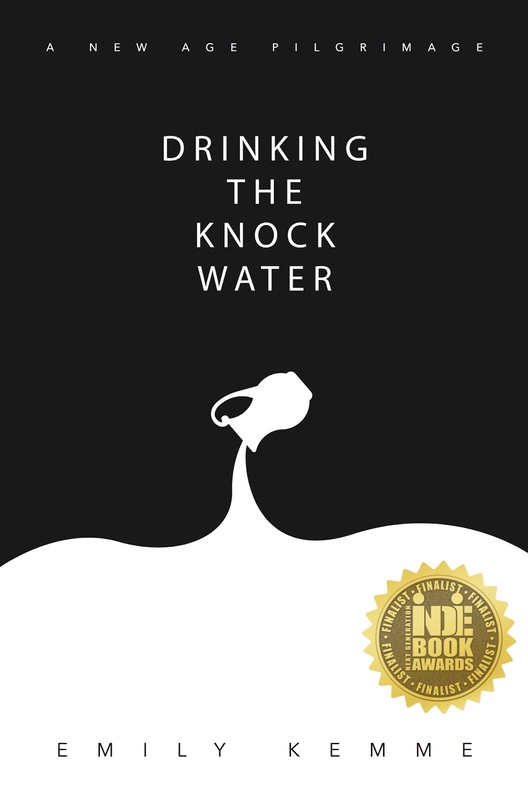 Her first novel, In Search of Sushi Tora, was awarded as Finalist for First Novel in the 2012 Next Generation Indie Book Awards and her second novel, Drinking the Knock Water, was awarded as a Finalist in Chick Lit in the 2017 Next Generation Indie Book Awards and received two CIPA EVVY awards. Emily is currently working on a childrenâs book series, Moro and The Cone of Shame, a collaborative project with her daughter-in-law, Mia. She is also writing her third novel, The Man With the Wonky Spleen, a story about human idiosyncrasies.